There are many great sites servicing the Herefordshire area, our premier venue being the South Wales site. 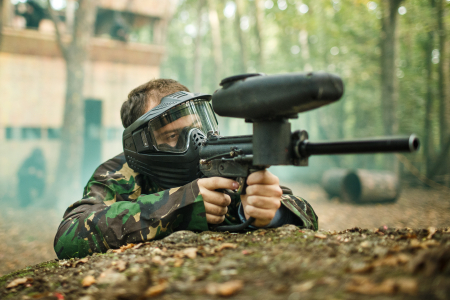 The paintball site is located in the centre of the Herefordshire woodland and offers all that you will need for a great days paintballing. The site has the latest in paintball equipment to make sure each and every customer will have a great day's paintballing. Just outside of the Herefordshire area are two further venues, that of Bristol and Redditch, which can be better located for some residents. Whether you're looking for a fun day out with friends, family or colleagues or for a special occasion, our friendly team are on hand to host your event. Common Wood, Hunstrete, Bristol, Avon, BS39 4NT.